Upcoming Baby and Kids Market in Hotel 520! 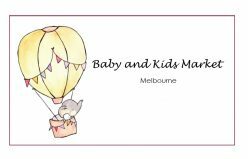 Baby and Kids Market Melbourne asks all stallholders to adhere to the information detailed below. We thank you for your co-operation. Please refer to the Book a Stall page for the cost of Pre Loved and Business Stalls. Boxes/Plastic Tubs – When displaying goods and boxes/tubs on the floor in front of your table they must not spread into the aisle as this may cause a tripping hazard. Too many goods on the floor will also create congestion which can deter shoppers. Be sure to utilise the Large Items Area as this will allow for more space at your stall for your smaller items. Clothes Rack – Clothes racks are a great way to sell clothing at the market. Stallholders may bring one small/medium clothes rack to place on the left side of your trestle table unless you are on a corner stall where you may place it on either side. This will ensure there is adequate space for the shoppers to browse the racks. Please note that clothes racks are not provided so you will need to bring your own if required. Should more than one rack be on display you will be asked to remove the second rack or if they are small racks they may be placed together to form one rack. (Please note this will be at the Market Managers discretion). Large commercial or double clothes racks are not permitted due to space restrictions. The rack must not protrude too far past the table into the aisle as this can cause congestion and may create a tripping hazard at your stall. Tablecloth – We encourage all stallholders to bring a tablecloth to cover their trestle table as this will improve the overall appearance of your stall and make it more attractive to the shoppers. Stall number stand – Please ensure that the stall number stand provided remains on your table and is clearly visible at all times as this will assist shoppers in locating your stall. First up: we advise you have a think about what you would be willing to pay for the item. If things have hardly been worn you can ask a bit more and get away with it, but on items that are no longer “as new” you will want to drop the price, after all: you are here to sell the items, not take them back home. Also put your nicest items on your clothes rack, it’s easier to browse from! And finally: if you feel that your items aren’t selling, drop the prices in the last hour of the market to entice buyers to open their wallets. Having a lower set of price tags under your table would allow you to quickly change the prices! alternatively just use a marker and slash the prices on the items. A map of the stall layout and a full Stallholder list will be on display at the entry points on market day. Please refer to the Stallholder List upon entry to double check your stall location. Market staff will be available to assist you in locating your stall if required. If you book more than one stall or wish to have a stall near a friend please advise of this in the comments section of your booking. If you are unable to book them together please email us a request and we will happily relocate your stall/s where possible. Doors will open at 8 am for all stallholders and set up will continue until 8.50am. Empty stalls will be reallocated to other stallholders or removed at 8.45am SHARP so please ensure you allow plenty of time to locate the venue as we do not refund or transfer stalls if you do not make it on time. The market will close to the shoppers at 1 pm and all doors will be reopened for stallholder pack up. Please leave your stall area as you found it. There is space on the carpark at the rear of the building. Once you have unpacked, we prefer that you park your car there. That way the visitors can find a nice spot near the entry. The stall fee includes up to two people at your stall for the duration of the market. Additional helpers are allowed during set up or packing up, however, they will not be allowed to remain at your stall once the market is open to the public. Children are welcome to accompany you at the market however they must be supervised at all times. They are to remain within your allocated stall area and we ask that you consider your neighboring stallholders. Two stallholder stickers will be on your table when you arrive at your stall, these are for you and your helper to wear on your shirt. They will clearly identify you as a stallholder and give you access in and out of the hall during the market. This venue will be able to provide 1 chair for your table. All Baby and Kids Market Melbourne venues have a facility to purchase food and drinks. We ask that care is taken to minimise spills within the hall. Please ensure that all food waste is placed in the bins provided and that you leave your stall area as you found it. All exit doors must be kept clear at all times and no stallholder is allowed to place goods, clothes racks or tables in front of the exit doors. (Also read FAQ Large Items Area) It is important that only clean items in excellent pre loved condition are sold. All items must contain the correct screws, attachments, panels, fittings and harnesses that are required for the item to be fully functional. Any items that are found to be broken, dirty, mouldy or not in 100% working order will not be accepted. If a shopper contacts us after the market to advise that an item they purchased is faulty we will pass on the Stallholder contact details for the shopper to contact directly to resolve the issue. Baby and Kids Market Melbourne will not enter into a dispute; this must be resolved privately between the two parties. Items must be brought to the area between 8am – 8.45am to be checked by the market staff, no items will be accepted after 8.45am. Each item must have its own Large Items label which we will place on your stallholder table on the day. Prams/Strollers – must be sold with a tether strap and red brakes are to be visble. Car Seats – must be less than 10 years old and not have been involved in an accident. All car seats must comply with the Australian Standards AS/NZS 1754 and the official label must be clearly visible. Cots/Mattresses and portacots – these are to be sold unassembled due to space restrictions, we suggest attaching a photo to show the assembled cot if required. Bikes and outdoor toys etc. Any other questions? Just send us an email.